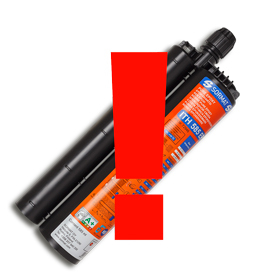 Home > News > ITH 585 EPOXe -resin users will see red! ITH 585 EPOXe -resin users will see red! Our ETA Option 1 -approved ITH 585 EPOXe pure epoxy injection resin in 585 ml cartridge is now red in color. The resin color change from grey to red applies only to the 585 ml cartridge size in our pure epoxy product range. Please contact our customer service for details and availability.